The brothers Salis, Antonio and Francesco from Santa Giusta, Oristano in Sardinia, began their career in the first half of 60's under the name of Barrittas, releasing a bunch of singles until the end of the decade. Produced by their elder cousin Lucio, they changed name to Salis'n'Salis in 1969, but by the time their first album was released the name has changed again to Salis. 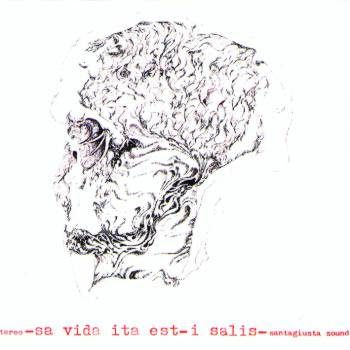 Their debut album, Sa vida ita est, came in 1971, a very good mix of 60's inspired pop/psych music and slightly progressive rock arrangements, but went totally unnoticed. In 1974 a second album was recorded, this was in fact a solo album by Antonio Salis; one of the first quadraphonic records from Italy, and released by EMI subsidiary CiPiTi, this was later re-released on the small local label La Strega, owned by Lucio Salis (that was also the lyricist for all the Salis songs). Again a lightweight pop/prog album, much more than the first, this had much in common with another group from Sardinia, Gruppo 2001. Antonio Salis was helped on the album by his brother Francesco and Gianni Serra on guitars, Dario Baldan Bembo on keyboards and drummers Andy Surdy and Furio Bozzetti. After five years a new quartet was formed, and a third album appeared, called Dopo il buio la luce. A totally different album from the previous two, this has a much more keyboard-led and prog-inspired sound, being almost entirely instrumental and with extended jazz-rock influenced parts like in the long Rapsodia per emigrazione and Dopo il buio...la luce. This last album is the best one for the progressive fans, but it wasn't successful and the group sadly disappeared again after 1980.